For those of you who know me, or at least follow this blog semi-regularly, you probably have a good idea how much I love sequins. I blame a childhood of dance recitals and costumes, but who knows! 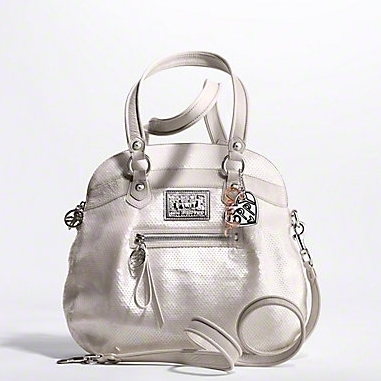 In any event, when I saw this Coach Poppy bag in the Nordstrom catalog, my little heart skipped a beat. I just think that this bag is really unique, super cute, and actually a lot more versatile than many people would think at first glance. It is the perfect bag from brunch to a night out on the town. Check it out on the Coach website.